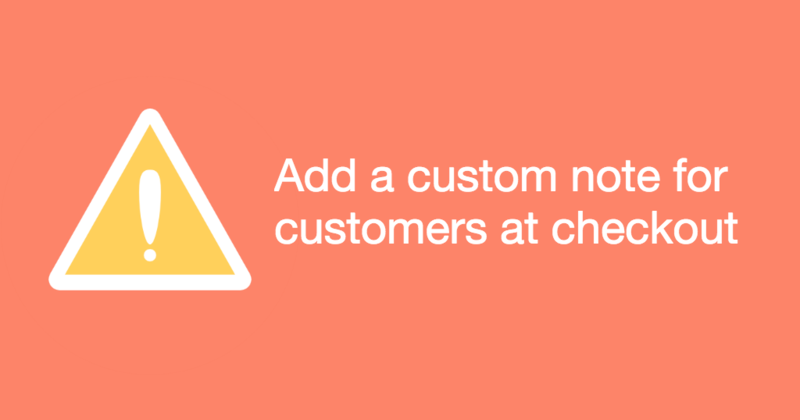 Display any important information to your customers right at the checkout! If your clients should know some important information before placing orders or it is required by law, this application will help you. 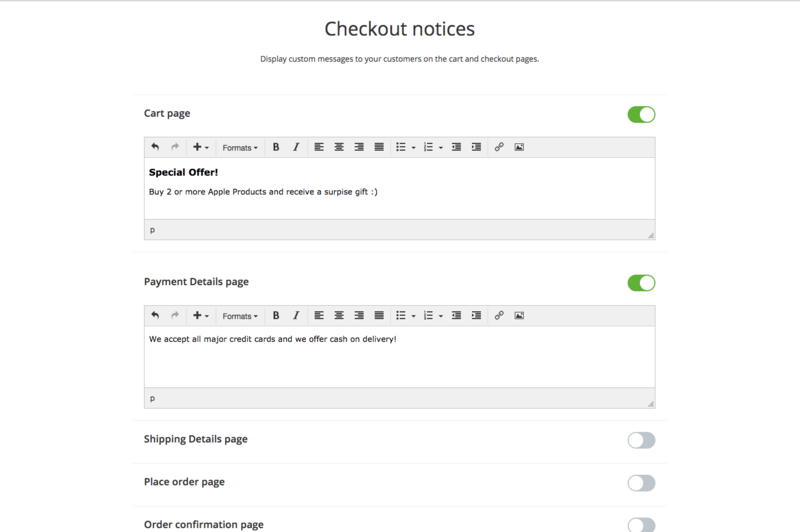 You can display these notes about your store’s special offers, shipping methods, or your timetable on holidays on any page of the checkout process. To edit the texts, just head over to the app interface in your online store control panel – simple and easy!